On July 9, the 12th annual 'Daegu International Musical Festival' wrapped up with its closing and award ceremony. Various productions from around the world received honors during the DIMF awards with the grand prize going to musical 'Flash Dance' from the United Kingdom. Also, in the category of musical stars who shined in musical productions shown in Daegu, actors Ahn Jae Wook, Yoo Joon Sang, and Shin Sung Rok received recognition. 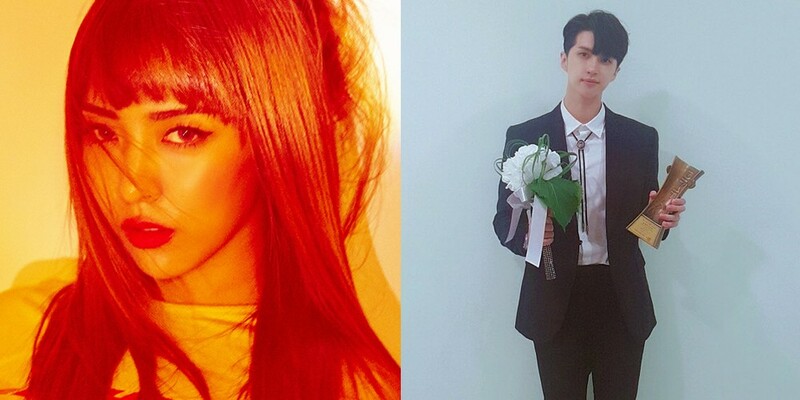 This year's rookie award for both males and females went to an idol musical actor and actress - f(x)'s Luna and VIXX's Ken! Luna received the award for her performance in 'Rebecca', while Ken was recognized for his performance in 'Hamlet'. Congratulations!